Wellinghoff forged his unique perspective as an integral part of defining and creating Barry-Wehmiller’s Truly Human Leadership culture. He directly contributed to multiple chapters in Everybody Matters as well as scholarly research on the BW culture. His quick ascension in the organization led him to be selected as one of St. Louis’s 30 under 30, as he became the youngest corporate Director at BW at the time. Wellinghoff has repeatedly been tapped by CEO Bob Chapman and CPO Rhonda Spencer to tackle the most challenging organizational opportunities- from sales incentives and structure, to cultural communication, to launching continuous improvement, to launching Barry-Wehmiller University, to contributing to external initiatives through the BW Leadership Institute. 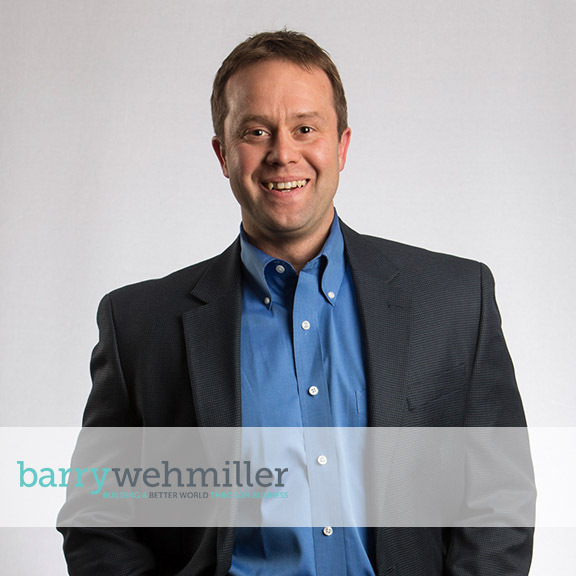 Most recently, Wellinghoff has been asked to strategically facilitate meetings for the Guiding Coalition (C-Suite Executives), Step Change Reviews (tri-annual business reviews), and Executive Meetings (yearly gathering of top 50 leaders in BW). Additionally, Wellinghoff has trained more than 300 professors in aspects of the BW Leadership Curriculum. Beyond Barry-Wehmiller, Wellinghoff has provided strategic consulting to dozens of businesses, ranging from Martin Engineering (a global producer of mining equipment based in Neponset, IL) to Massy Group (a multi-industry Caribbean conglomerate).